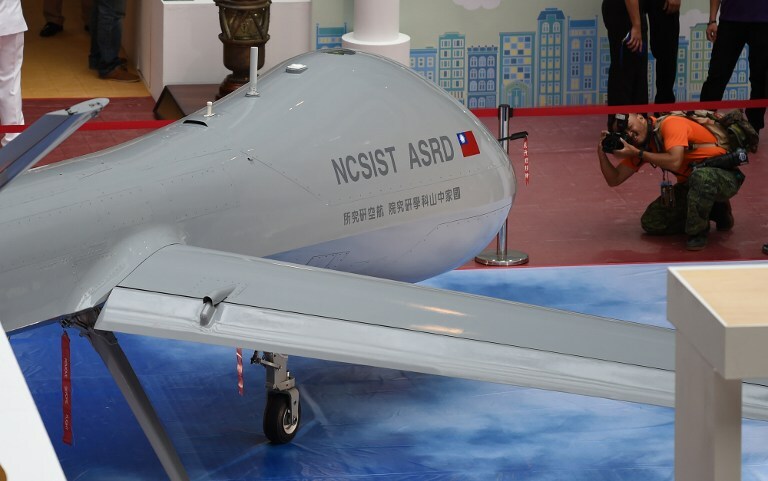 TAIWAN unveiled the prototype of its largest ever military drone on Wednesday as it seeks to boost its defence forces in the face of a perceived threat from China. 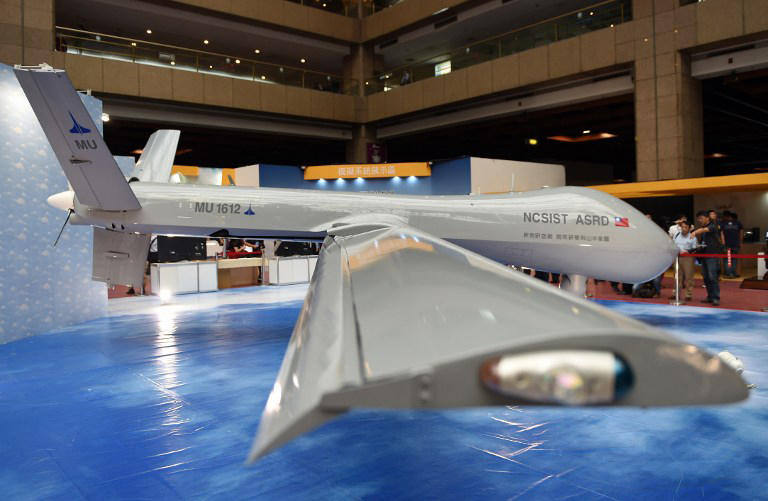 The sleek, white unmanned aircraft is designed for intelligence gathering and surveillance missions, according to the National Chung Shan Institute of Science and Technology (CSIST), an arm of the Ministry of National Defence that is developing the drone. It is more than twice the size of any of the existing fleet of 32 “Sharp Kite” drones used by Taiwanese forces. 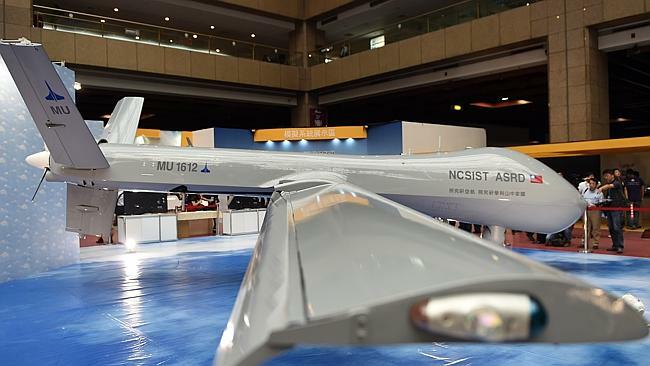 “Our research and development capabilities are definitely not inferior (to China’s),” said Ma Wan-june, director of the aeronautical systems research division at CSIST. Ma did not say when the prototype is to be put into use or give any further specifications. “It’s equipped for automatic takeoff and landing, communications, optical detection, among others,” Ma said. 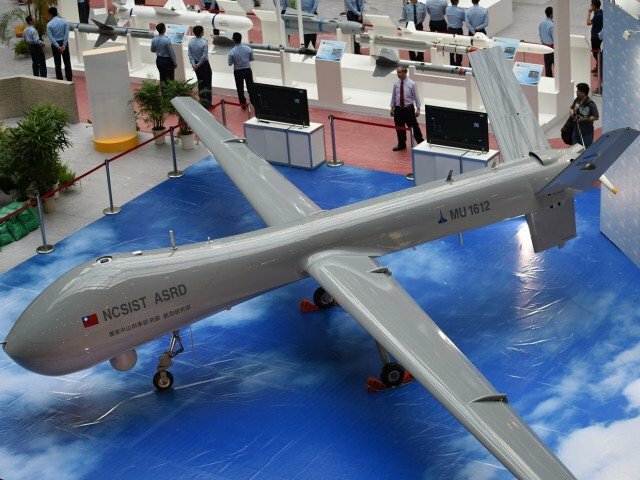 The drone was shown to reporters ahead of the biennial Taipei Aerospace and Defence Technology Exhibition which starts Thursday and is open to the public. Taiwan in December launched its largest ever missile ship, the 500-ton corvette named “Tuo Chiang” -- the first of its kind to be produced locally. The ship is armed with 16 missiles including eight supersonic Hsiung-feng III (Brave Wind) anti-ship missiles. Self-governing Taiwan split from mainland China in 1949 after a civil war. But Beijiing still sees the island as part of its territory and does not rule out force to achieve reunification at some stage. According to Taiwan’s defense ministry, China has more than 1,500 ballistic and cruise missiles trained on the island.